- Assist in the formulation of strategies to build a lasting digital connection with consumers. - Plan and monitor the ongoing company presence on social media (Twitter, Facebook etc.). - Launch optimized online adverts through Google Adwords, Facebook etc. to increase company and brand awareness. - Be actively involved in SEO efforts (keyword, image optimization etc.). - Prepare online newsletters and promotional emails and organize their distribution through various channels. - Provide creative ideas for content marketing and update website. - Collaborate with designers to improve the user experience. - Measure the performance of digital marketing efforts using a variety of Web analytics tools (Google Analytics, WebTrends etc.). - Acquire insight into online marketing trends and keep strategies up-to-date. - Maintain partnerships with media agencies and vendors. - Proven experience as Digital Marketing Executive or similar role. - Excellent understanding of digital marketing concepts and best practices. - Experience with B2C social media, Google Adwords and email campaigns and SEO/SEM. - Working knowledge of ad serving tools (e.g., DART, Atlas). - Perfect knowledge of web analytics tools (e.g. Google Analytics, NetInsight, WebTrends etc.). - Analytical mindset and critical thinking. 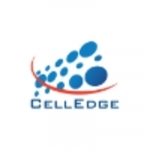 HR at Celledge Technologies Pvt. Ltd.